Financial planning requires a lot of attention because you’re making plans of future that how you can maintain your sudden needs. It is a widespread and continuing process that assist your client to accomplish both personal and financial goals. It is a crucial step for advisor because here you’re introducing yourself as of how you can meet your client needs and how they can trust you. 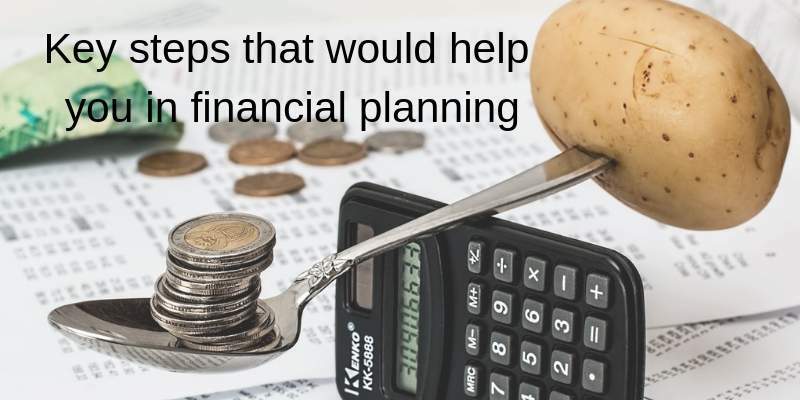 The financial planning needs clear-cut information so your first job is to clarify with your clients’ needs because most of the clients have own perspective for investments and some have not. You have to be open-minded with your thoughts and must aware of market fluctuations so you can guide the client easily for their betterment. The numbers of people love to save money for financial needs and some need to invest as in real estate, a stock market and much more. Go with your client little deeper so that you can successfully meet their goals. The purpose of investing or saving money is only to lead a stress-free life, so as a financial advisor you have to maintain a true relationship and goals in your mind. Another step is to prepare your mind and collect huge information on achieving your targeted goals. For example, if you want to invest money for 5 years or half than you need to collect data accordingly such as where to invest and how much, what are the risks factors, how the market goes at that time, upcoming changes in government rules for taxation and where you’re going to invest. Most importantly, check out is your portfolio strong for that investment? There are a lot of data which you have to prepare. After gathering information, now your step is to inspect data as in, the collected information is true or false? The data you have been collected are suitable according to your assumptions? Are the circumstances be the same in future or current date? And must analyze is your financial plans or goals will achieve successfully? In such case, if analyze will wrong or you did any mistake your whole plan goes to dustbin so be careful about this. After analysis, you can create your plan accordingly. In this step you can ask with an expert and also you can consult with your client about it, is he fine with all market risks? After done with all above steps and client “yes” you can implement your investment according to your plans related to market risks, needs and much more. As you implemented the plan, it’s very crucial to monitor, is that working in a correct way or according to your plan? If this goes well your plan will become successful.